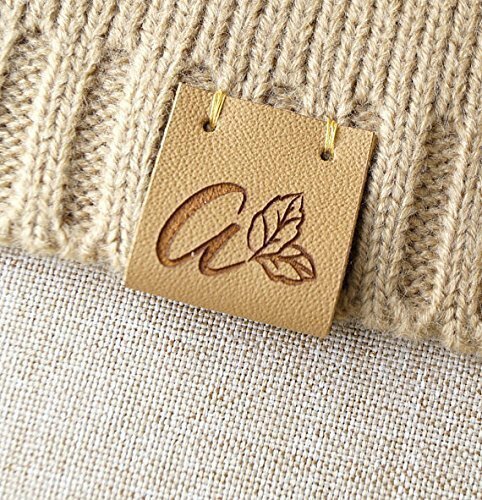 Custom clothing labels, leather tags, leather labels, leather tags for crochet, labels for handmade items, leather tags for knitting, 25 pc. Center fold leather labels Quantity: 25 pc Color: sand Size: 1''x2.25'' center folding style The labels are made from high quality Italian leathers .You can write you custom text and instructions in the Personalization field or send us your logo via message after you have placed your order. Thank you! Please note that the leather labels can be hand washed or machine washed up to 30 degrees. We do not recommend washing the garments, where leather labels are attached, on higher temperature.